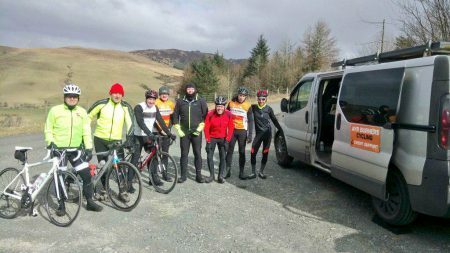 Spring is here – maybe !!! 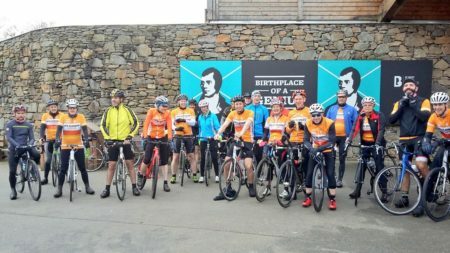 The weekend just past saw a record turnout for the group ride that leaves the Burns Centre every Saturday at 9.30am. 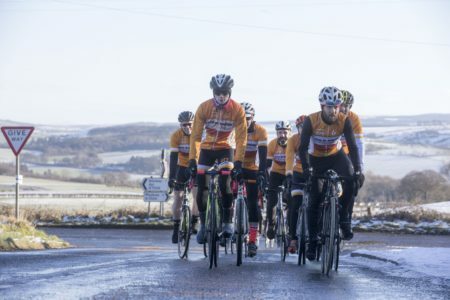 A grand total of 24 Burners enjoyed unseasonably warm temperatures and dry roads as Duncan McArthur lead the group in an easterly direction, before looping back to the Burns Centre for the customary coffees…. 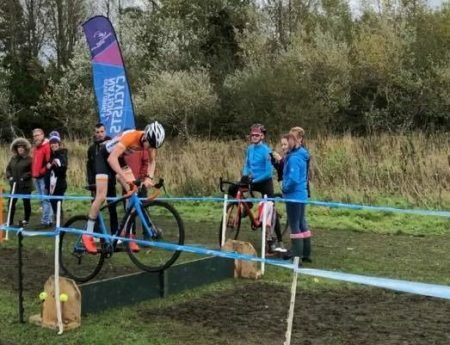 5th Doonbank Trofee proves a winner! 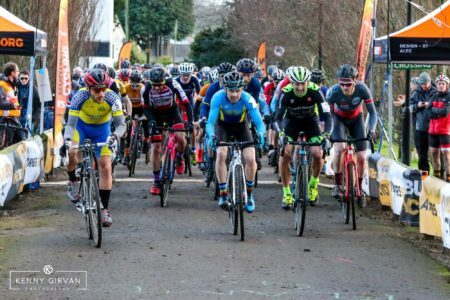 Rider blog: Harry lands a win! 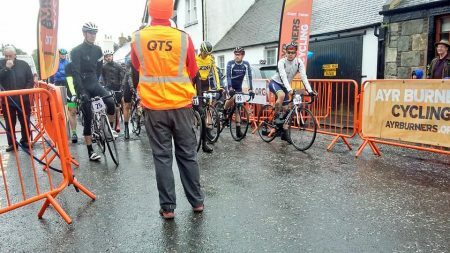 Wet Ayrshire Alps Sportive doesn’t dampen enthusiasm! 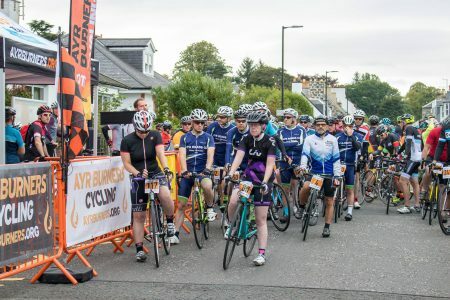 The picturesque ‘Guitar Village’ of Kirkmichael was transformed into a bustling cycling hub as the 2018 Ayrshire Alps Sportive rolled into town. 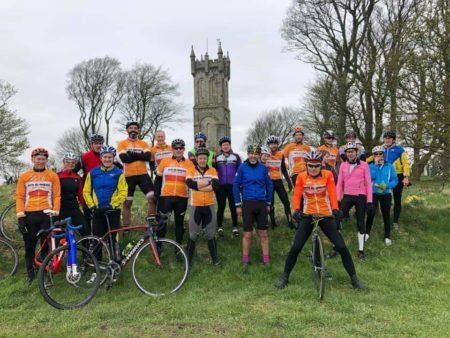 This grassroots community based event has grown in size and stature since its inaugural running in 2015, with this years edition drawing in over 300 entrants from all corners of the United Kingdom…. Summer time, we loved you! 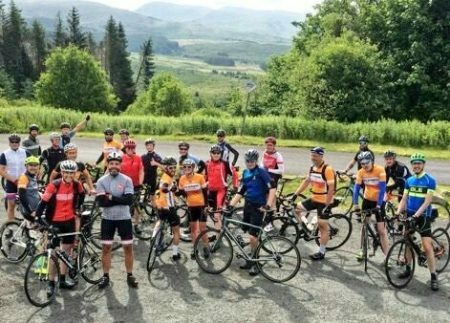 Ayrshire Alps Sportive SOLD OUT!